ON THE WAY WEST TO FARGO, the land is wide, the sky big. 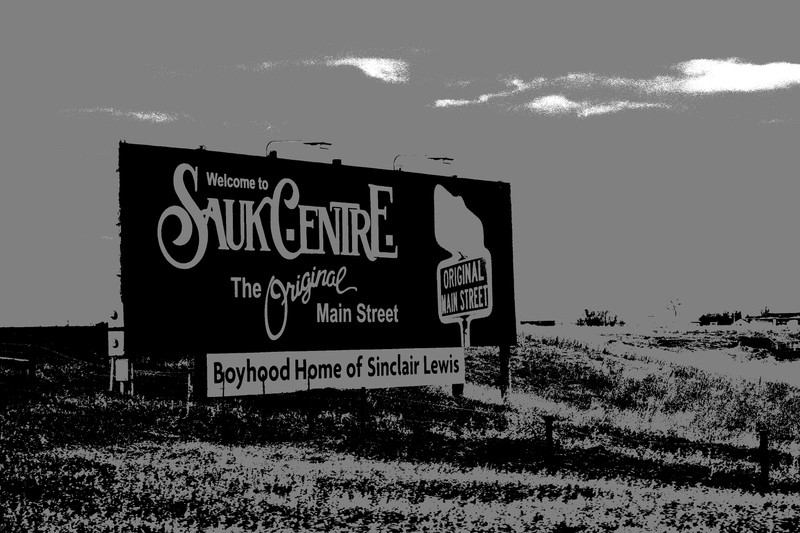 Fields and farm sites—punctuated by occasional cities, like Sauk Centre, Alexandria and Fergus Falls, and exits to small towns—once west of St. Cloud, define the Interstate 94 corridor leading northwest to the North Dakota border. It is a place that can be both unsettling and freeing, depending on your perspective, your mood, your experiences. Raised on the southwestern Minnesota prairie, even I am sometimes overwhelmed by the infinite spaciousness of this prairie, this sky. I ground myself with my camera, locking on scenes that root me to the earth, give me the security of feeling tethered. 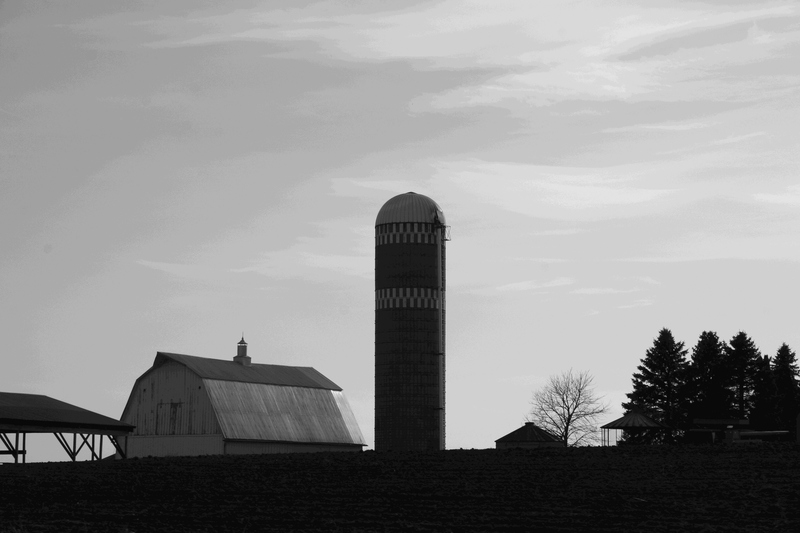 And when I do that, I notice the details of lines and shapes—in fence posts and grain bins, a lone farmhouse or a single tree, the angle of a barn roof or the vertical rise of a silo. I still feel small in this expanse. But I, at least, feel less lost in the vastness. This space looks very much like south-eastern Saskatchewan; and I often feel the same, ‘lost in the vastness.’ I also lock onto buildings, power lines, roads to orientate myself and can easily imagine the first prairie settlers struggling against madness in this infinite, open landscape. It is interesting how you treated the photos–it really enhances the mood of your text. I think about those early settlers, too, wondering how difficult it must have been for them to journey into this unbroken land. As for the photos, thank you. I decided the scenes would be best showcased in black-and-white. The posterizing editing tool, used on most, plus shifts in contrast, created the results you see. Oh, this is beautiful, Audrey. Your powerful words between the photos really struck me this morning. 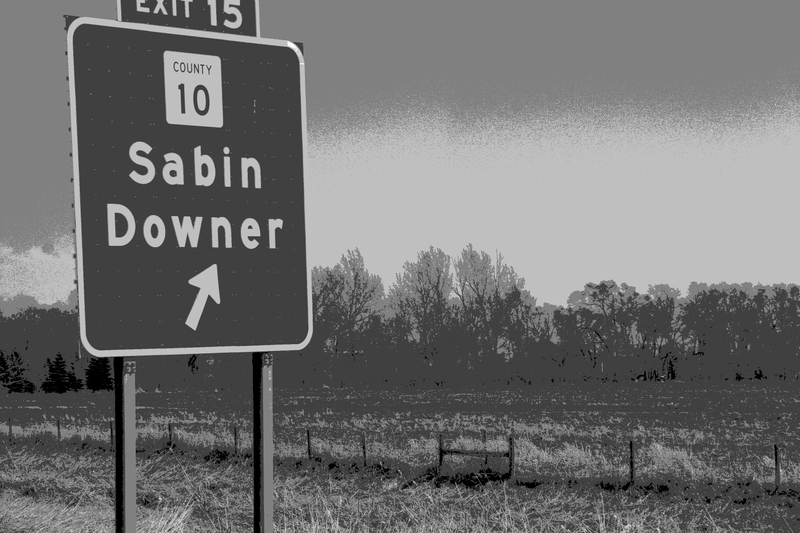 That farmhouse on the vast flat land – that’s my favorite (well, along with that first photo – I love photos of power line poles). Very nicely done. Have a wonderful long weekend. Thank you, Kathleen. I remembered, from a previous power line image I posted, that you liked power line photos. I do, too, since I seem to continually shoot them. There’s something about them that draws my eye in an artful and poetic way. 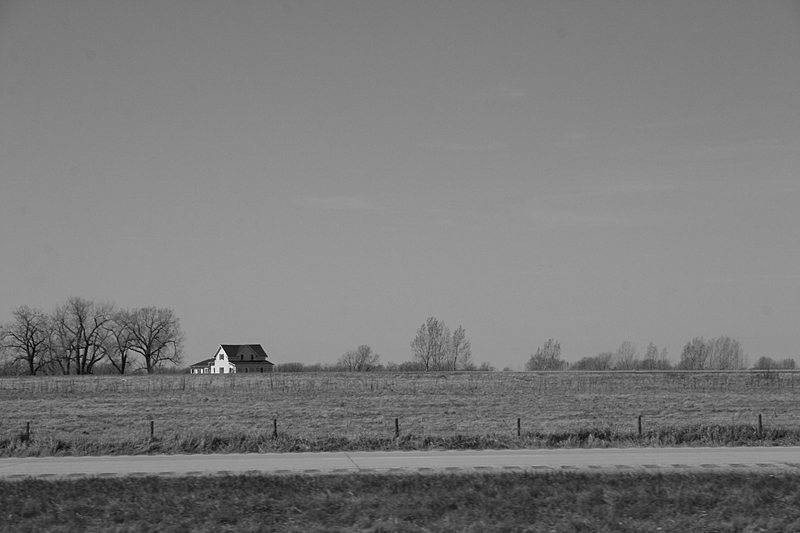 I am always amazed at how tiny farmhouses look on the prairie. The sky simply overwhelms. Ahhhh, descriptive and poetic-like words of each beautiful photo! You have such a wonderful way of defining what you see, It really awakens ones imagination, especially this “wanna-be farm girl” that grew up in the country but not on a farm. 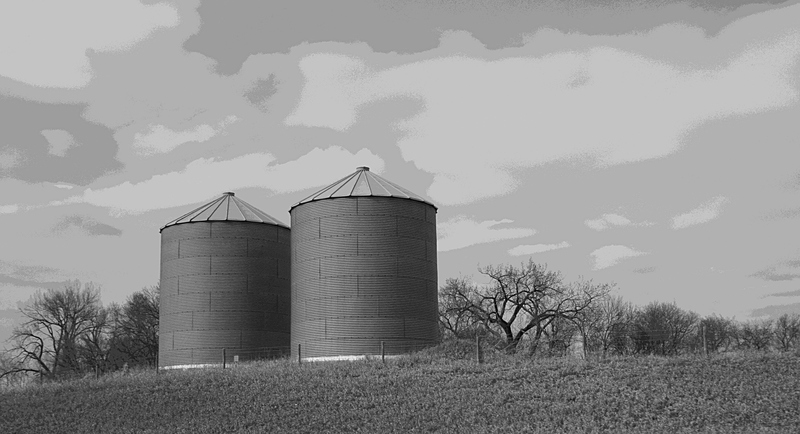 I Love the country and all that goes with it….silo’s, corn bigs, lone trees and barns. Loved your post, thanks again for sharing! I always find it interesting how photos and words like this resonate with readers. I write from the heart, from having lived on the prairie, when I pen these types of posts. Glad you enjoyed it. Thank you. You have a wonderful weekend, too. “Lost in the vastness” and searching for a small corner of coziness (found in our little corner of MN!). I always find myself ‘hanging’ on your every word! Have a wonderful Memorial Day weekend!!! Hugs……. Thank you, Doreen. You know how I love words. You are right, Charlie. 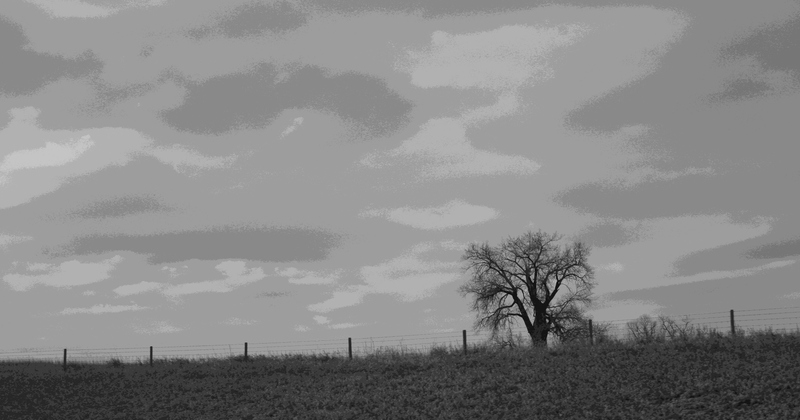 I shot these a few weeks ago en route to and from North Dakota State University. The landscape where I live is not this flat and treeless. 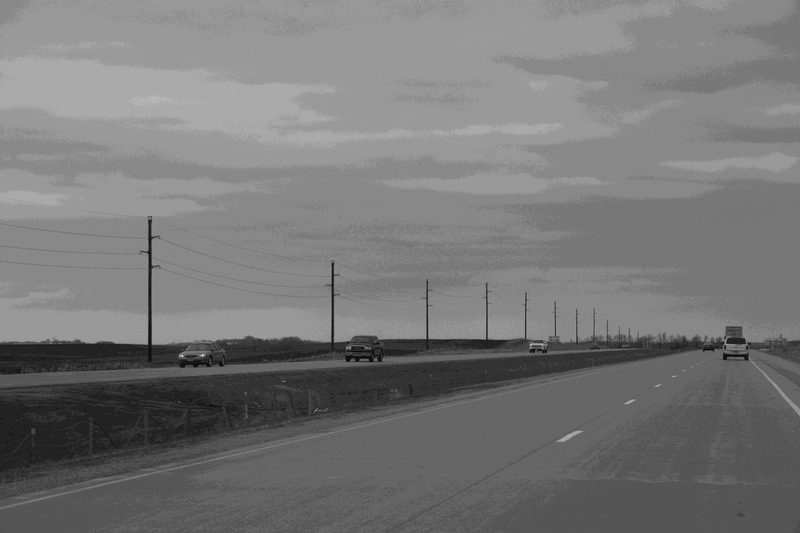 However, I grew up in the southwestern corner of Minnesota, which looks quick similar to the landscape in these photos. Yep, that’s Minnesota! At least in part. I love that there are so many different aspects to our state. Yep, not too different from around here.